Throughout the week of Thanksgiving, special Dining hours will be implemented across the Statesboro and Armstrong campuses. Please plan accordingly. Thursday, Nov. 15: Lakeside will be closed for breakfast and will not open until 10:30 a.m. for the annual Thanksgiving meal. Friday, Nov. 16: Lakeside and all EDS Retail units will close at normal business hours and will not re-open until Monday, Nov. 26. 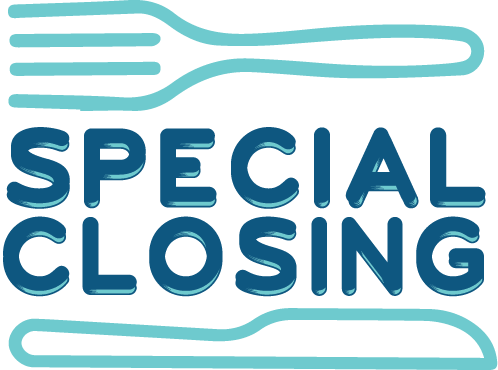 Wednesday, Nov. 21: Dining Commons and The Galley will be open for lunch from 11 a.m. to 2 p.m. and will be closed for dinner. Thursday, Nov. 22: Dining Commons and The Galley will be closed for Thanksgiving all day. Friday, Nov. 23: Dining Commons and The Galley will be open for dinner from 5-8 p.m.
Saturday, Nov. 24: Dining Commons and The Galley will resume regular operating hours (8:30 a.m. to 9 p.m.).